After an in-depth discussion of how to make the transition from SharePoint to Oracle as user-friendly as possible, we identified four main components that needed to be part of the final design. Each component also had to work with both Office 365 and SharePoint Server on-premises. The SharePoint document library is the core of any SharePoint document management system. In this case, all the organization’s documents were associated with the same business process and user community, allowing us to design a single library. The library contained a folder hierarchy to store the documents. With good SQL database management and the right folder structure, SharePoint can support millions of documents in a single library with a maximum of 5,000 documents per folder. We configured the document library with a content type and metadata to capture key search terms like Document Category and Project Number. A custom Outlook plugin was added along with Kofax Capture integration for consistent document tagging. The customer document upload form is an application we created for easy and stable deployment. Using the out-of-the-box functionality of SharePoint as a baseline standard, we assessed which features users didn’t like and created in-app processes to automate those features. Streamlining the upload process gained user buy-in. The SharePoint custom upload form was developed using the Provider-Hosted App model, and the App Web was created using the ASP.NET MVC template. In order to access the custom upload form, the user first clicks the link on the home page. The form asks for the file, document category, and project number. For consistency and ease of administration, we dynamically populated the pick list for the document category from the top-level folders in the document library. 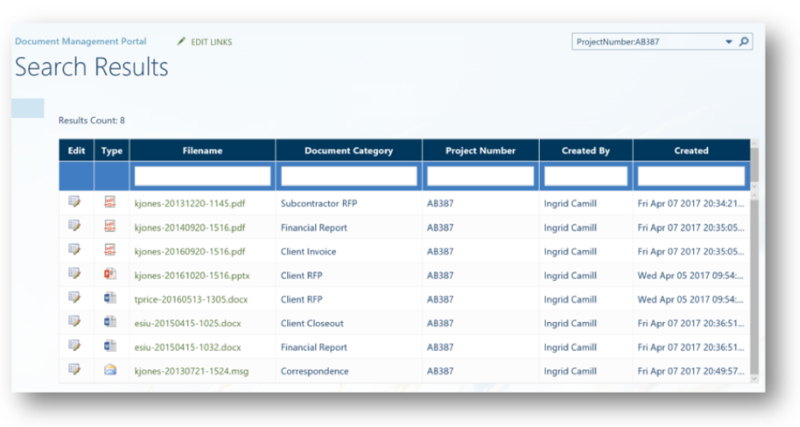 The app then uses the project number to query a project information database, retrieving related metadata like the proposal number and award number. The app automatically names the file based on the username and upload timestamp, removing the risk of duplicate file names. The document is then stored in the appropriate folder based on metadata and current folder volume. Users found this new document upload experience saved them time and frustration, as managing and balancing the document library became an almost fully automated task. The search experience was customized based on feedback from users. Using an advanced search page, users could enter a combination of keywords and metadata queries. The custom search experience also lets users filter by results type as well as advanced property restrictions. 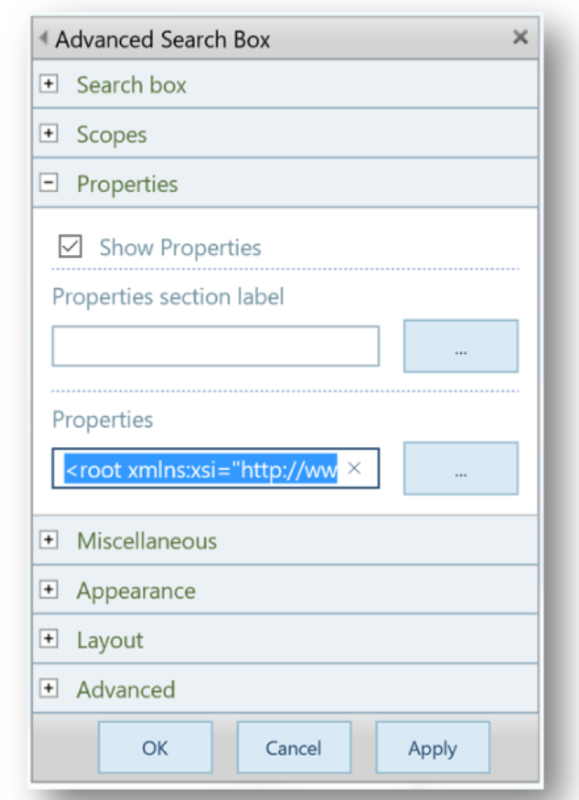 Configure the document library columns as managed properties in Search Settings. Enable Enterprise and Publishing features within the Site Collection settings. 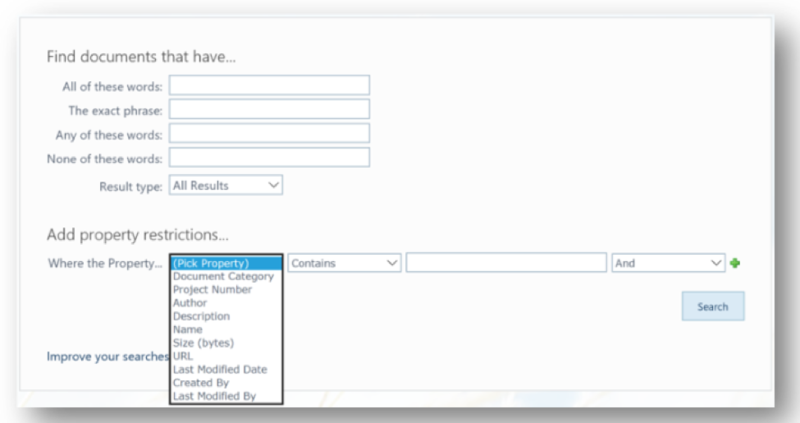 Create the search page, which contains Search Web Parts to provide the user interface. 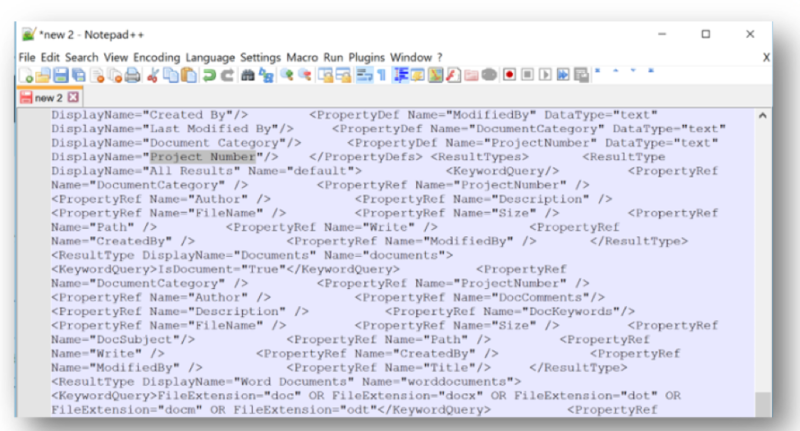 Finally, edit the XML properties field to add the appropriate metadata to the property pick list. Users are left with a fully customized search interface that can expand in functionality as the enterprise scales in business complexity. 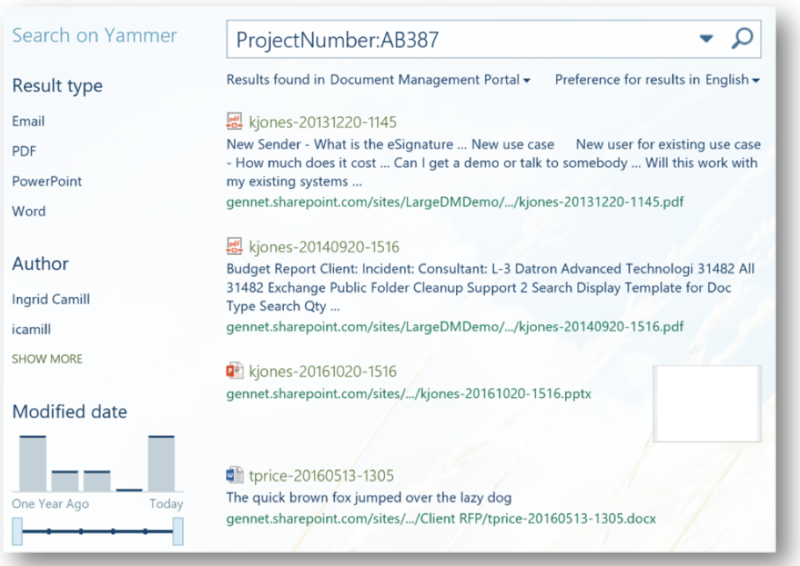 The final step of implementing the SharePoint solution was developing a custom search results display template. The out-of-the-box SharePoint search results display was too generic for document management users. To build a customized results experience, we used SharePoint Designer to create a custom Results Control Template and Item Display Template. Control how many results they wish to view on screen at once. Filter the results without re-running the search. Quickly edit metadata and view the document. Like the search experience, the results experience can be configured to match evolving user and enterprise needs. Though the SharePoint experience was customized for this particular client, all the standard document library features such as permissions, sharing, information management policies, and version history remained available to users. Users embraced the shift to SharePoint for its robust document management. With advanced search enabled, users can obtain a large or narrow array of content from thousands of documents. With the addition of a custom upload form, and a custom Outlook plugin and Kofax Capture for scanned documents, all uploads are auto-named based on the user and time/date stamp. General Networks used SharePoint to change the document management experience. We did this by first listening to what users needed to feel comfortable, content, and productive in their roles. Then, using targeted customization, we configured the SharePoint experience to bridge the gap between the powerful out-of-the-box features and the business requirements. In the end, the users, stakeholders, project managers, and IT team agreed: SharePoint is an excellent replacement for PMO document archive. If you’re looking to improve your document management experience, contact General Networks today.